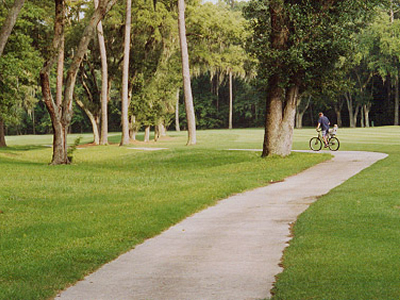 Jekyll Island Guide - The Official Website of Jekyll Island and the Golden Isles. 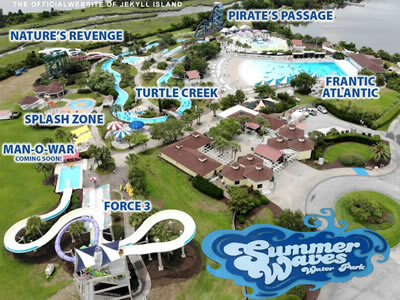 Jekyll Accommodations, Hotels, Vacation Rentals, Restaurants, Events, Attractions, and more! 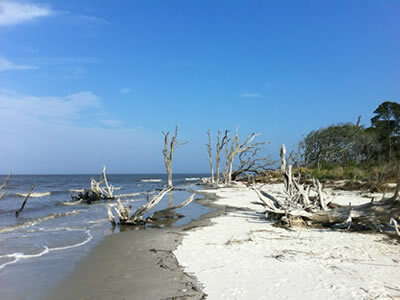 Jekyll Island, Georgia, is a unique, tranquil island left mostly undisturbed by the constant march of time. Located just across the water from its nearby neighbor St. Simons Island, Jekyll Island boasts over eight miles of white sandy beaches and an amazing degree of privacy and protected natural habitat. Jekyll Island is a Georgia State Park, and maintains a strict conservation clause which limits future development to preserve wildlife and protect the scenic beauty that is home to a variety of animal species and magnificent Southern Oak trees with Spanish moss draping from their branches. Sixty five percent of Jekyll Island will always remain natural and wild, ensuring that this unique getaway will continue for generations to come. 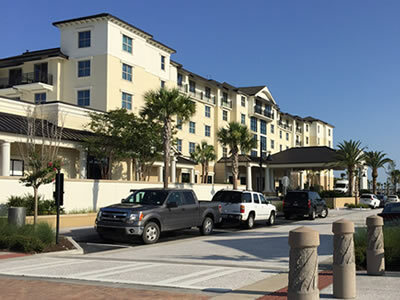 Through our partnership with Booking.com, we've made it easy and affordable to find and book the perfect Jekyll Island hotel room, vacation home, condo or apartment right here on our website. Jekyll Island is renowned for its landmark Historic District, termed the "Millionaire's Village" long ago, with its 240-acre site containing 33 historic structures, including the Jekyll Island Club Hotel and surrounding cottages that were once home to some of America's most wealthy and prominent citizens, including the Crane family, the Pulitzers, Morgans, Vanderbilts, Rockefellers, and Goodyear clan to name but a few. These privileged few used Jekyll Island as a hunting and golf retreat, spending lazy summers here and building these historic homes that have been lovingly restored to their former glory. 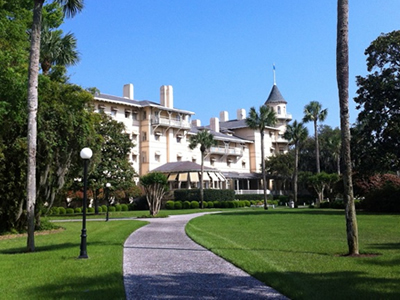 Jekyll Island has been a part of many historic moments, including the first meeting of the Federal Reserve, and the first transcontinental telephone call. Jekyll Island has received numerous awards and recognition for its preservation work that continues today, and has been named to the National Trust for Historic Preservation. 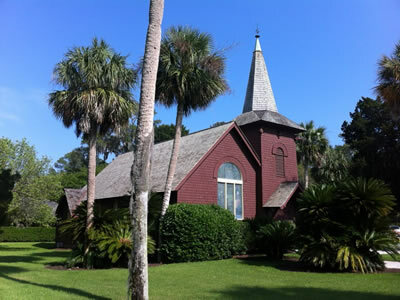 Other notable attractions include Faith Chapel, Georgia Sea Turtle Center, Horton House, and Plantation Oak, estimated to be 350-400 years old. 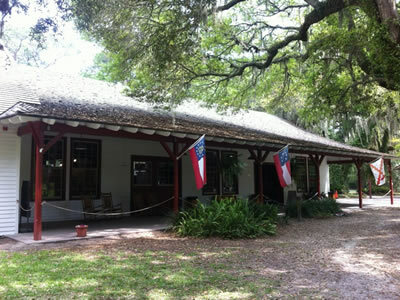 Today, Jekyll offers visitors a trip back in time to a simpler, unhurried way of life. 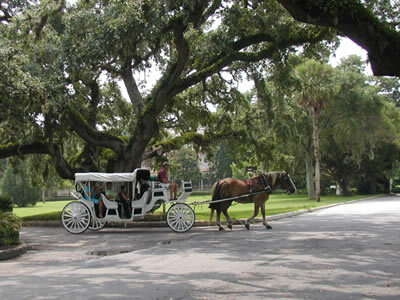 Vacationers can meander around the Historic District, visiting these restored cottage homes as well as numerous shops, restaurants and attractions such as horse carriage tours, or you can stay overnight in several of these historic homesites or the Jekyll Island Club Hotel which is listed on the National Registry of Historic Places. 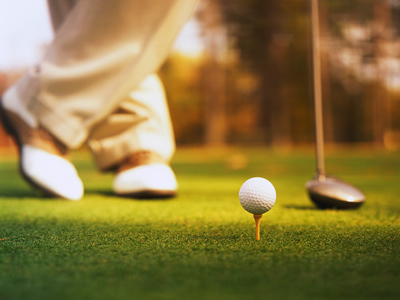 In 1898, members of the Jekyll Island Club created the Island's first golf course, Great Dunes. 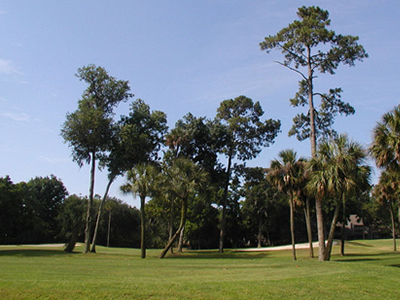 Since that time, Jekyll Island has welcomed golfers to a natural landscape and challenging play. 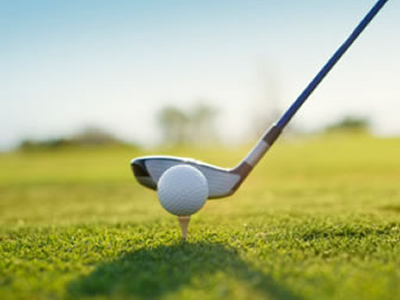 With 63 holes on 4 golf courses, including Indian Mound, Oleander, Pine Lakes, and the historic Great Dunes. Jekyll's coastal scenery is unmatched in its beauty and makes golfing here a truly memorable event. 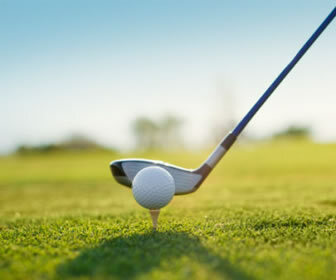 You can now SAVE UP TO 65% and book your tee times for local Jekyll Island and Coastal Georgia golf courses and country clubs right here on our website through our partnership with Golf Channel Online. 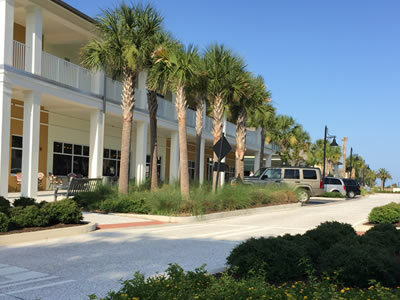 Accommodations on Jekyll Island include historic and contemporary hotels, charming motels and villas, vacation homes and rentals, condos and apartments, a campground and RV park - all located within walking distance to the beach. 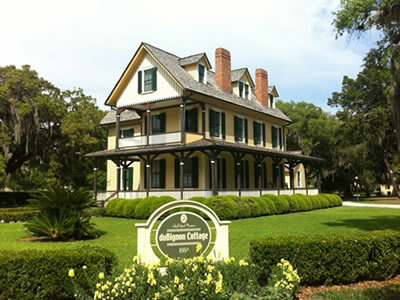 Nearby St. Simons Island is full of history and Southern charm, surrounded on all sides by Southern Oaks draped in Spanish Moss that have survived for hundreds of years, expansive marshlands and waterways, and world-class accommodations, restaurants, outdoor adventure and plenty of things to see and do during your visit to Coastal Georgia. Use the interactive Google map below to quickly find all the best rates and places to stay on Jekyll Island. You may need to scroll or zoom in or out to see all of the available properties and current prices. Features an interactive Exhibit Gallery and Rehabilitation Pavilion open to the public. The Georgia Sea Turtle Center is a functioning hospital for ill and injured sea turtles and is the only hospital of its kind in the state of Georgia. 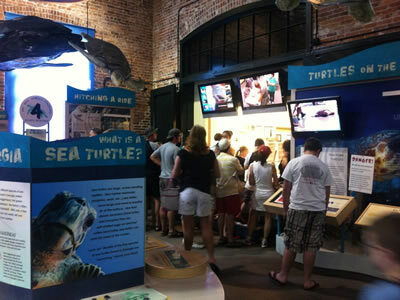 The Georgia Sea Turtle Center on Jekyll Island offers a summer program to engage visitors with a unique understanding of the Island's endangered sea turtles. Ride with Night Patrol allows guests to accompany local biologists to the beach on all-terrain vehicles, where they will gain hands-on experience with sea turtle crawls, habitat, nesting and egg hatching. 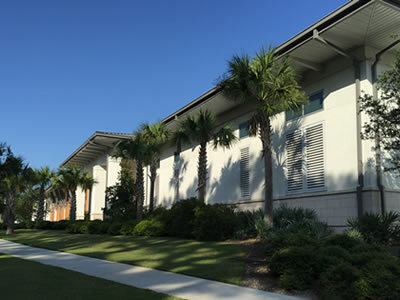 The Jekyll Island Convention Center is the only oceanfront convention facility on the east coast south of New Jersey. Throughout the 128,000-square foot building, hints of the coastal environment are found. In addition to the large, flexible Atlantic Hall, the new convention center offers an additional 11 breakout meeting rooms, including the upgraded 3,200-square foot Ben Porter Oceanside Salon. Large pre-function areas and more than 30,000-square feet of patio and lawn function areas make the new center as malleable as it is efficient. The new center is perfect for groups from 25 to 6,450 delegates. 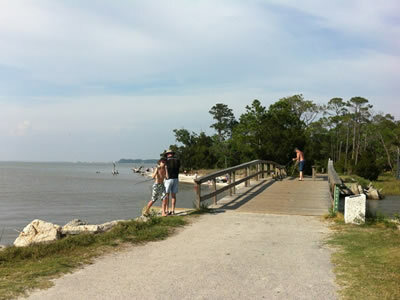 Jekyll Island has 3 main beach areas, Driftwood Beach, Glory Beach and Great Dunes. 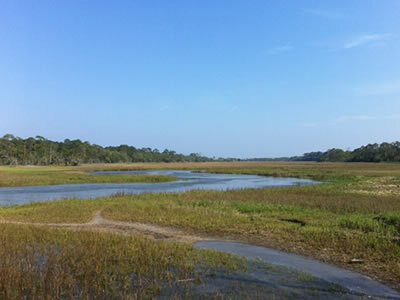 Jekyll experiences two high tides and two low tides each day. The tides reach 6 to 9 feet, a situation unique as compared to normal water patterns along the East Coast. Every 6 hours 12.5 minutes, Jekyll experiences a change in tides. 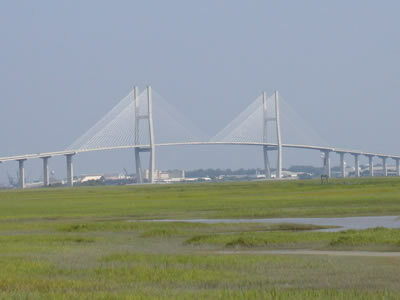 The tides pervade deeply inland due to high tides and the gradual slope of Georgia's Coastal Plain, which results in the most expansive marshes of the entire Atlantic Coast. Sand dunes on Jekyll Island are home to millions of species of plant and animal life. These communities are protected by the State of Georgia. It is our goal to promote the preservation of these natural habitats. According to the Georgia Department of Natural Resources, "these sand dunes form a natural buffer and protect upland homes, hotels and other buildings from the tides, winds, waves and storms. Morning glory vines, ghost crabs, sea gulls, Spanish bayonets and sea oats all made their home in and around the sand dunes. Many shorebirds lay eggs directly on the sand in the dune area. Even the threatened loggerhead turtles come ashore during the summer months to lay their eggs in the warm sands of our coast. The dunes are extremely fragile and the plants which hold the sand in place are easily killed by foot traffic. 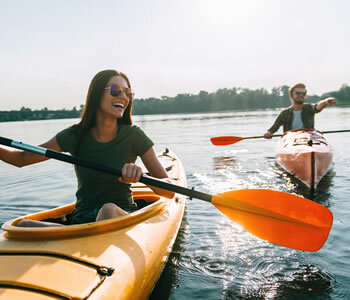 Fishing is a favorite pasttime on Jekyll Island, whether it is onshore or offshore fishing charters, you'll find plenty to Explore for beginners to experts. Fishing charters, boat cruises and guided tours are available most days in season, with the Jekyll Island Marina and Jekyll Island Wharf provided easy access and supplies for anglers. 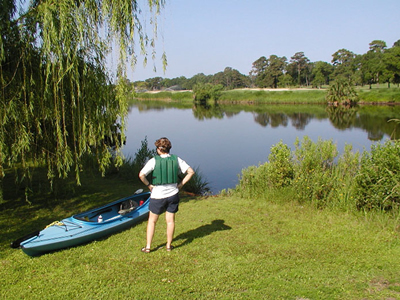 At the north end of the island you will find Jekyll's campground, fishing pier, bait and tackle store and seasonal horseback riding.